In July 2018, Tony Hawk shared, “My son Spencer was talking about a strange Flinstones theme park he visited in Arizona recently and it sounded oddly familiar. 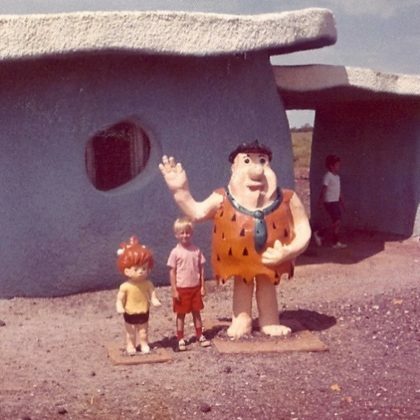 I then scrolled through thousands of [very] old pictures to find that I had visited the same place on a family road trip in 1973” — the place was Williams, AZ, USA’s Flintstones Bedrock City. He added, “It seemed less creepy 45 years ago… or not. 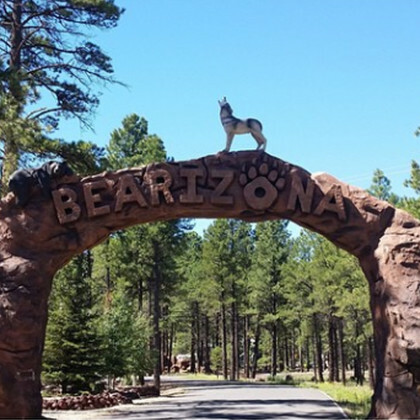 Camilla Belle nicknamed three white bison at this wildlife park “The Three Amigos” and observed a bear “getting his chew on” while taking a detour from her September 2014 road trip.